Companies have until January 31st, 2017 to deliver 1099-MISCs to recipients. Recipients may even receive it before then or a few weeks after, in the case they've secured an extension. Payable is the service helping deliver these tax forms to movers this year. We created this quick guide to help you better understand the 1099-MISC and what it means for your taxes. 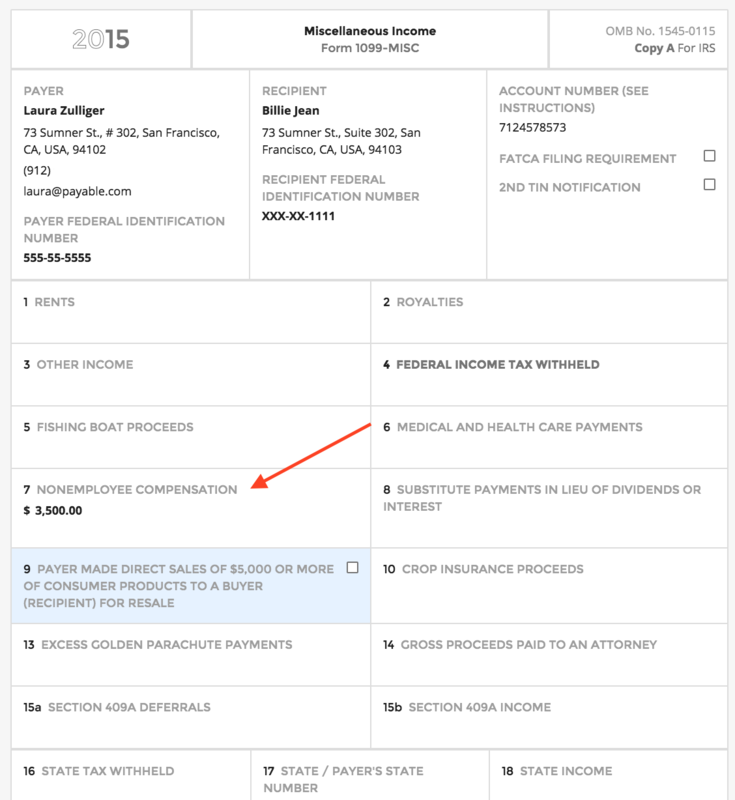 A 1099-MISC form is used to report independent contractor earnings to the IRS. Contractors only get a 1099-MISC form after earning more than $600 with a company in a calendar year. You should receive a form from any company who paid you more than $600 that year. What do I do with the information on my 1099-MISC? Contractors may consider inputting the amount earned (as reported in Box 7 on your 1099) on the Schedule C. Schedule C is used to determine the contractor’s profit or loss. It's also where contractors can claim any tax deductions (like the Standard Mileage Rate, health insurance premiums, business supplies, etc). After that, contractors take the amount in personal business profit determined on Schedule C and plug it into a Schedule SE. The Schedule SE helps calculate the percentage owed in self-employment tax. That percentage, in turn, can be added to the contractor’s 1040 form (the form most people fill out to report income). The 1099 is for the contractor’s records only. Contractors report to the IRS their taxable income using Schedule C, Schedule SE and 1040.